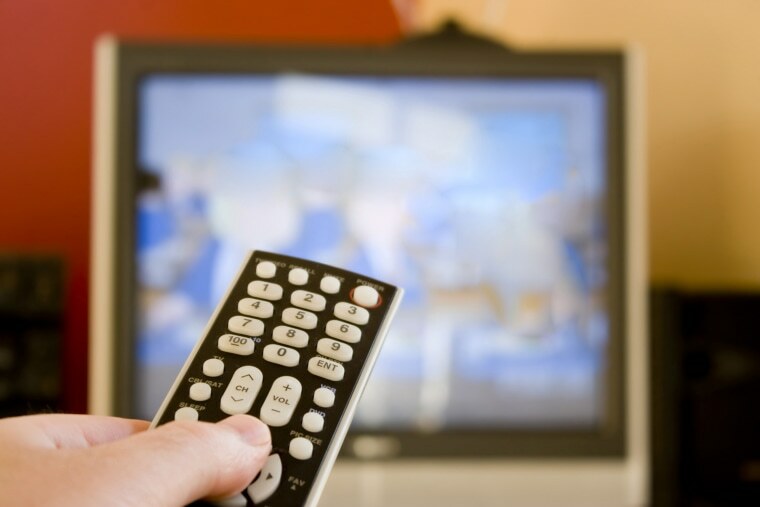 The cost of pay TV is heading higher for many subscribers, with several of the nation’s biggest cable and satellite TV companies recently announcing rate hikes that will take effect in the new year. DirecTV and AT&T’s Uverse, which are now a part of the same company, announced last week that their rates will go up starting Jan. 28. The increases will vary for customers, but different base packages, channel bundles and premium channels will see increases ranging from $2 to $8 per month. New year rate hikes for DirecTV have become an almost annual occurrence, with the company raising fees by as much as 6 percent last January. Dish Network customers will also see a rate hike next year. The company is increasing the pricing on its bundles from between $2 and $8 per month starting Jan. 14. Time Warner Cable subscribers could see jumps of $10 a month or more early in 2016. The cable provider is not only bumping up the cost of its TV channel bundles and premium channels, it’s increasing the rates for broadband services and cable modem rentals. TWC customers will see their broadcast TV fee increase by $1 and their cable modem rental price go up by $2, along with hikes for prices of digital adapters, remote controls, DVRs, and DVR service. Comcast, the nation’s largest cable provider, announced earlier this month that subscribers nationwide will see prices go up an average of 3.9 percent, and increases already have taken effect in some markets. The company will also hike its “broadcast TV fee” by 66 percent from $3 a month to $5. This relatively new fee covers the cost of retransmission fees that over-the-air broadcast TV networks like CBS, NBC, ABC and FOX charge cable companies for redistributing their networks on pay-TV systems. While there’s a mix of increases for some of Comcast’s plans and bundles, the price of adding premium channel HBO is going down from $22 a month to $15. (Comcast owns NBCUniversal, parent company of NBC News). The pay-TV increases may vary depending on what market you’re in. Satellite and cable TV providers have found that in places where their competition isn’t as strong, they can charge a little more. The average cable bill in this country is currently about $99 a month – that’s risen about 8 percent each year since 2010. Cable operators attribute the higher prices to increased costs for programming, including sports and entertainment. "We understand that getting maximum value is a top priority, which is why we work diligently to keep costs under control. However, due to higher costs of programming, an adjustment in the price of our programming packages is necessary," DirecTV said in a letter to its subscribers on its site. The increasing popularity of streaming services like Netflix, Hulu and Amazon is contributing to the erosion of pay TV. Consumers are ditching expensive cable bills in favor of the à la carte options streaming services offer. Analysts say pay TV providers raising their rates and passing on costs to the consumers doesn’t help. “This has resulted in some cord cutting or switching to cheaper packages, cord shaving,” said Derek Baine, research director at SNL Kagan. “The thinking historically has been the more channels the better, but the tide has turned and consumers are saying they want less, not more. Consumers are saying that they want smaller and less expensive packages." A recent study indicates that while many Americans are ditching their cable service altogether, even more are scaling back – paying for cheaper TV bundles while spending more on streaming video services. The study, done by Digitalsmiths, a subsidiary of TiVo, found that in the first quarter of this year, 45.2 percent reduced their cable or satellite service while only 8.2 percent cut their service completely. Analysts expect that trend will continue in the new year. SNL Kagan forecasts that 2020, 82 percent of U.S. households will be pay-TV subscribers, down from a peak of 88 percent in 2011. If you’re not quite ready to cut the cord, but still want to cut costs, savings could be as easy as a quick search on the Internet. You can shop for the best bundle deals on sites like MyRatePlan.com or AllConnect.com. Just type in your zip code and you'll get the different packages and bundle deals that are available in your area. You can also try calling your cable company and asking if they have any new deals or bundles. Many times, they come out with new offers to lure in new customers, but will work with you in order to keep you as a customer.